This picture turned out a little artier than I intended, but so be it. 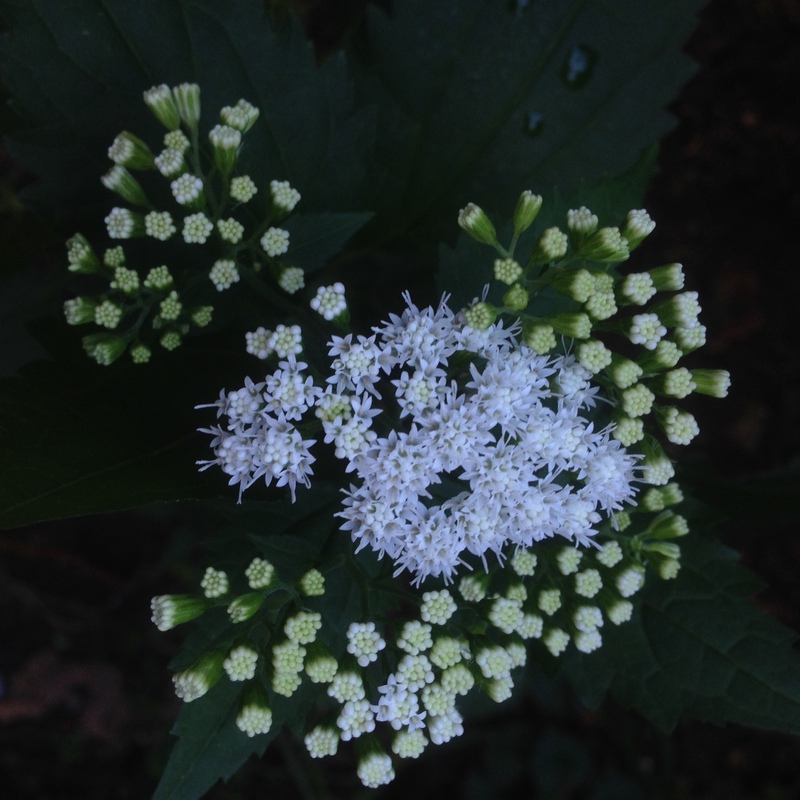 White snakeroot (Ageratina altissima) does like shade and flops around in the wind, two photo challenges. 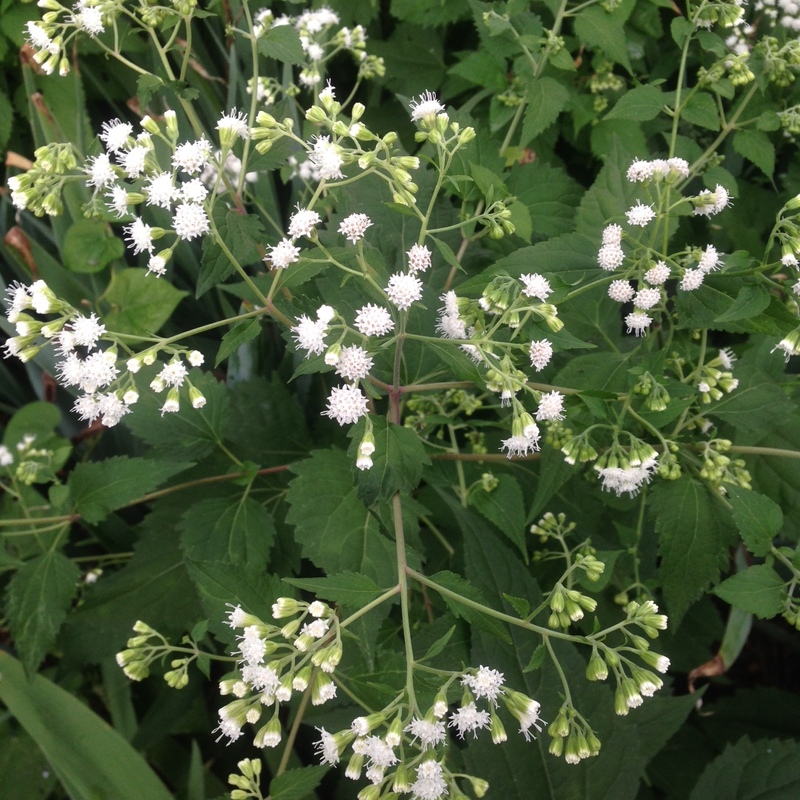 The NYC EcoFlora Project has an EcoQuest Challenge this month: documenting the presence of this wildflower in NYC. The project uses iNaturalist, a handy app that allows you to upload photographs of living organisms. 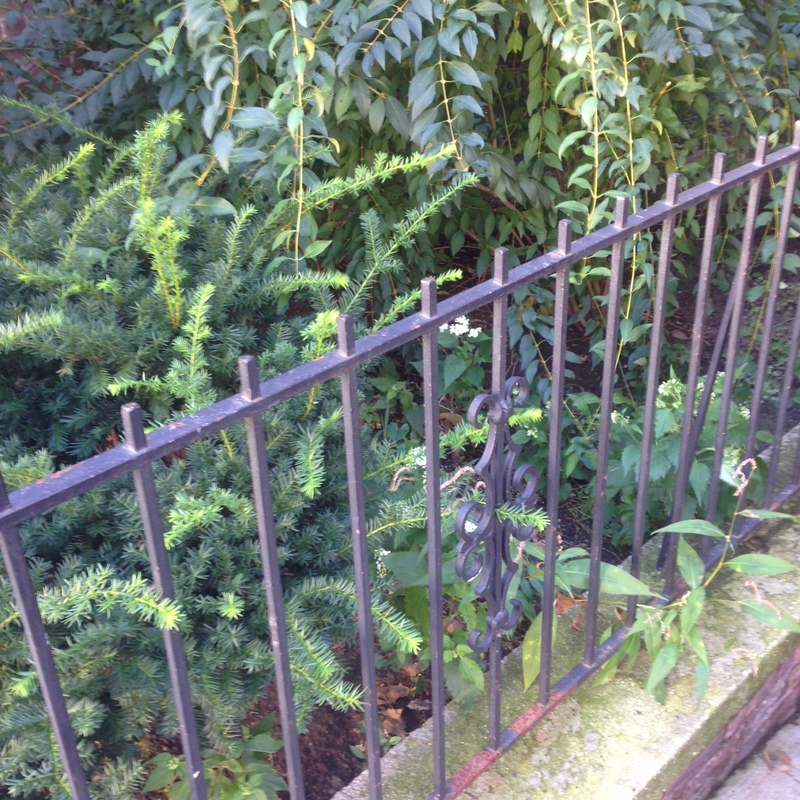 I have passed this mixy-moxy spot numerous times and never noticed the trio of Ageratina altissima flowers here. Of course, the bone-white flowers are in bloom now and stand out. Also, we had just heard about the Quest the night before…. 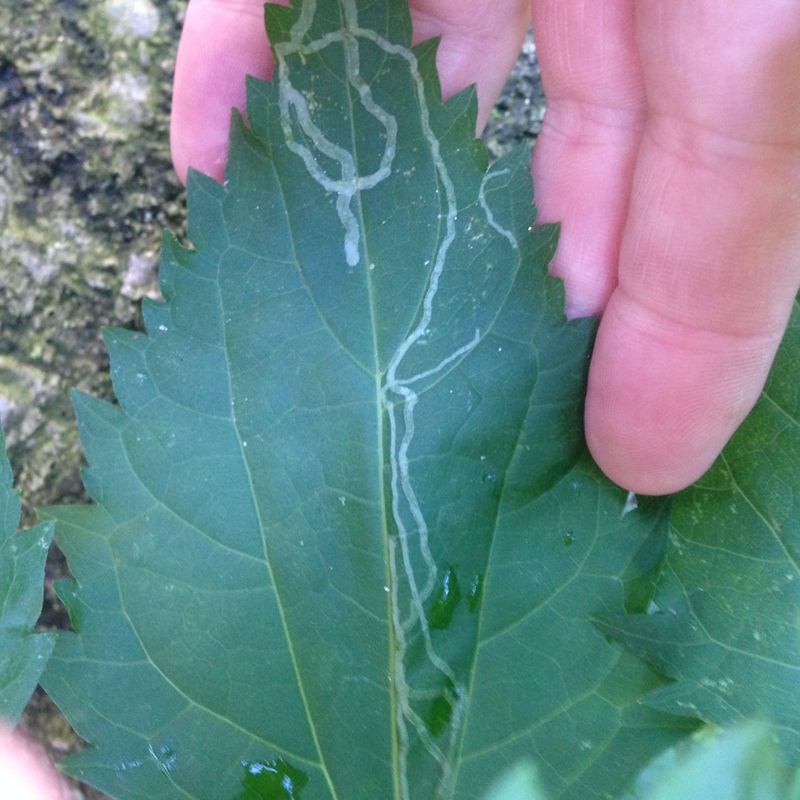 You’ll often see its leaves looking like this: these traces are the work of the larva of a fly, White Snakeroot Leafminer (Liriomyza eupatoriella). And as the EcoQuest Challenge page notes, that’s cool: this is an example of commensalism: the larvae benefit, the host isn’t harmed. Another patch, right across the street at the entrance to Sunset Park. You’ll find this plant a lot of places. lovely and intimate encounters with the natural world for the concrete bound. And of the concrete bound: these are growing in sidewalk tree pits, too.